The two nurses who went viral for broadcasting on Facebook Live have been sacked. Trudy Ewurama Marcel and her colleague nurse Ramatu both workers of Royal MMR Hospital shocked Ghanaians with their conduct. They chose to do Facebook Live while at work and responded to comments at the expense of patients awaiting to seek healthcare. 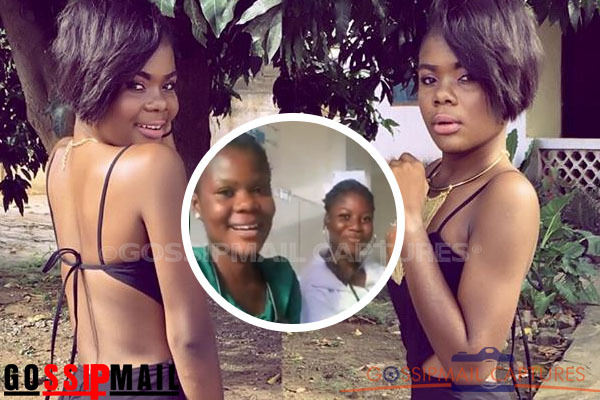 When Adom FM broke the news Thursday, authorities at the hospital were stunned and assured the two nurses would be sanctioned. After thorough investigations, Medical Director of Royal MMR Hospital, Dr. Mohammed Donkor confirmed to Adom News Friday that the two have been fired. He indicated that, Trudy and Ramatu who were employed as health assistants are aware their conduct is against hospital rules. Dr. Donkor said the hospital feels very embarrassed by the conduct of the two thus they had no choice than to part ways with them. Meanwhile, the Ghana Registered Nurses and Midwives Association (GRNMA) has instituted investigations into the matter, saying the conduct of the two posed a threat to the integrity of the Nursing profession. Public Relations Officer of the association, Douglas Adu Fokuo though their conduct is unpardonable, they are worried about the psychological well-being of two nurses.